I am a glutton for punishment when it comes to horror movies. I almost always go in with a naive optimism that a movie might be good, even when all available evidence suggests otherwise. How else to explain the fact that I'd watch anything put out by The Asylum by choice? I mean sure, they've managed to bang out a handful of ok movies over the years, but we're talking somewhere around one percent of their total output. 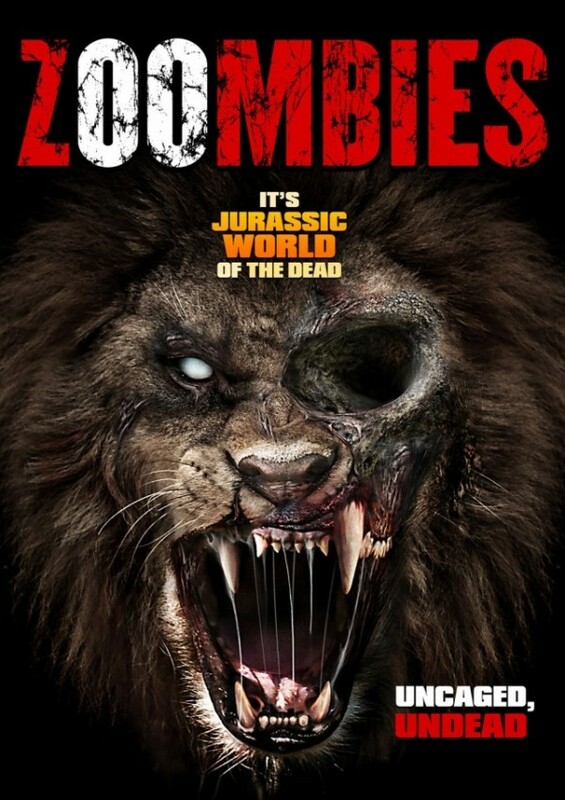 And so, despite seeing the company name on the opening credits as I started up ZOOMBIES on Netflix, I soldiered on. 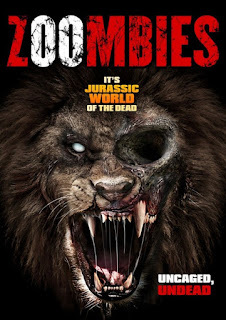 The premise for this one is basically that a JURASSIC PARK for endangered species sees its charges turn into homicidal rage infected zombies. As usual for Asylum productions, there's no shortage of potential victims, either. Dr. Ellen Rogers (Kim Nielsen) runs the zoo, which she inherited from her grandfather. On the day the outbreak occurs, she's brought her young daughter Thea (LaLa Nestor) to work with her. Thea has a special fondness for the zoo's gorilla, Kifo, who she communicates with using sign language. The same day just happens to be training day for new interns, among them new security officer Leslie (Ione Butler), spoiled poli-sci major Amber (Brianna Joy Chomer), long-haired gorilla aficionado A. J. (Aaron Groben), and buttoned down student Gage (Andrew Asper). Existing staff on hand include head security officer Rex (Marcus Anderson) and bird expert Chelsea (Tammy Klein). Various other characters are present as well, but most of them get killed off so quickly there's no point in even bothering to name them. Of course this is a dumb movie. Even before I knew it was from The Asylum, I expected it to be bad. I was not disappointed in that regard. Thankfully, it's bad enough to be entertaining, although only just barely. I think the scenes of characters riding CGI elephants that were about as convincing as the effects in BIRDEMIC were enough to tip the scales in the movie's favor in that regard. 2 out of 4 stars.